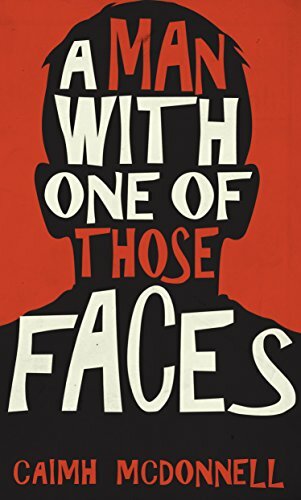 I’ve just recently read and thoroughly enjoyed Caimh McDonnell’s very funny crime novel A Man With One of These Faces (review here), so I’m delighted to welcome him to the blog today to get to know about more about him. You can order a copy of the book online here and watch out for the sequel, The Day That Never Comes, due out in January. Thanks for joining me Caimh. First of all, would you tell me a little about yourself? I have quite an unusual existence I guess. I work as a stand-up comic and a writer for TV as well as being the ‘voice of London Irish’ rugby club, plus being an author now too. On one hand, I’m keeping an awful lot of plates spinning at any one time, on the other hand – I’m never bored! I’ve always been fascinated by story telling I guess. I was utterly mesmerised the first time I saw Billy Connolly work. He can spin a yarn better than anyone. Whether it be TV, film, stand-up or prose, I really see them all as different sides of the same thing. It is all about holding your audience’s attention and being able to transport them somewhere. As for why I specifically started to write novels; stand-up is brilliant but limiting in how complete a story you can tell, TV is great but you’re never ever really in control of it. I found writing my first novel the most rewarding artistic experience I think I’ve had, simply because I got to be in control of it and, fundamentally, I was entertaining myself and then hoping others would like it too. Looking back on it now, A Man with One of Those Faces is about a man, who through becoming a victim of circumstance, is forced to get a life. The modern world makes it easier than ever for people to not really engage with the world they’re living in and that can be a very unhealthy thing. Oddly, I think I had the title first and then built the story around it. I hit on it and then instantly liked the idea of a guy who spends his life being confused for other people. For the next book; a nice meal with my wife and then eight hours of uninterrupted sleep. God, I really love sleep! 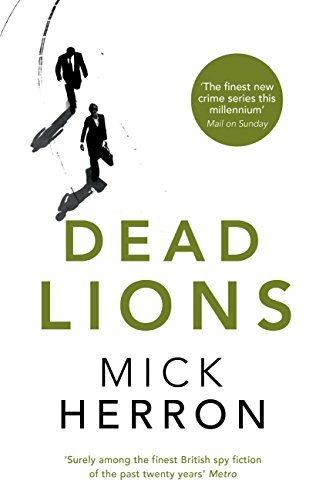 It’s a tough choice but I’ll go with Dead Lions by Mick Herron. It’s part of his Slow Horses series based on a bunch of MI5 employees who are unwanted and sent to their version of Siberia, albeit in London. I think the characters are compelling as they’ve mostly made the kind of mistakes we all have at some point, but their mistakes had much worse consequences than we would typically experience. The plotting is great too; the whole thing must be destined to be a fantastic TV series. 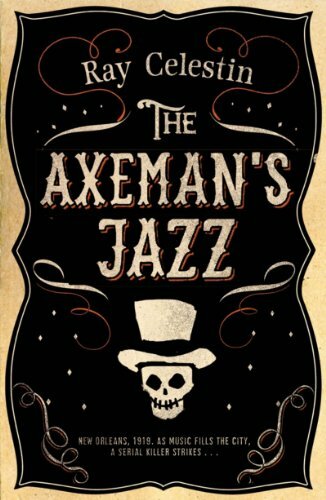 December 2016 has got off to a good start as I’m reading Axeman’s Jazz by Ray Celestin. It’s a detective novel set in New Orleans from about 100 years ago and it is brilliantly realised. It particularly affected me as one of the detectives is being blackmailed as his wife is black, and at the time being in a interracial relationship was against the law there. I was in New Orleans last year with my wife on our honeymoon, we’re a mixed race couple, so thinking about what the reaction to us would have been at a different time is a very sobering thought. On the other hand, much as I’m loving it, there’s a young Irish man who just immigrated to New Orleans in the story and his first name is Kerry! Kerry! I’ve never heard of an Irish male with that name, it has only ever been used as a woman’s name in my experience. I guess the lesson there is that if I’m writing about people from other countries, I won’t try and get too clever with the names! Oh God, now that is hard! 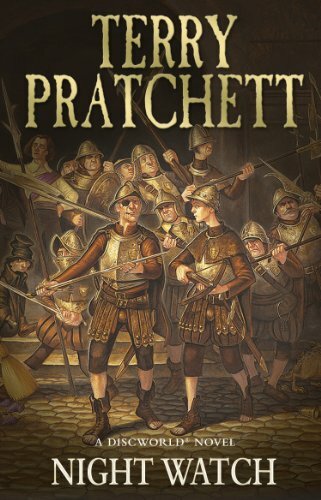 I think probably, Night Watch by Terry Pratchett. It’s the book I read when I’m ill in bed. It is my chicken soup book. The problem with the name Caimh – while it is virtually unique – it is also damn near impossible for people to spell. You can find me @Caimh on Twitter or through my website www.WhiteHairedIrishman.com; because sometimes you’ve just got to try and spell it out! Thor. I’ve always wanted to grow long hair but it has never worked out well for me plus y’know, you get to be a God!